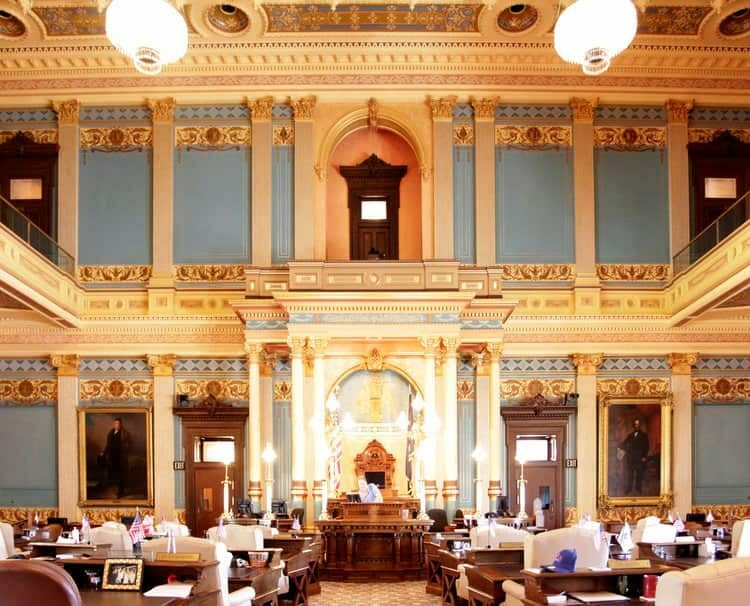 Michigan State Capitol Restoration | John Canning & Co. 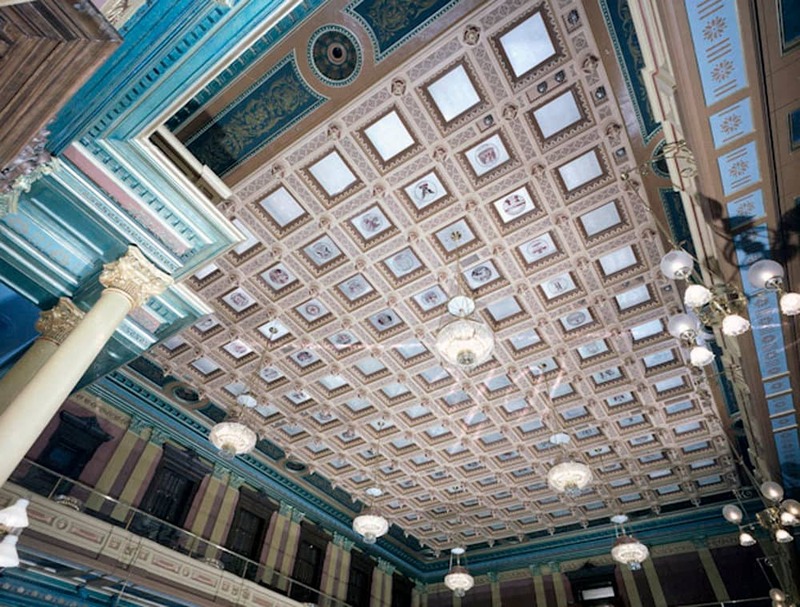 The Michigan State Capitol project from 1989-92 was a complete restoration of the House of Representatives, Senate Chambers, Adjacent Areas, and Public Spaces, that involved all aspects of the decorative arts with a large quantity of woodgraining – replicating multiple wood species, graining, and color. Approximately 45 elaborately decorated distemper ceilings were conserved and consolidated during that period. 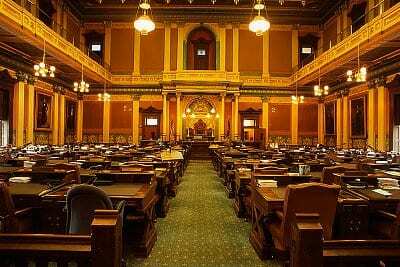 All work was carried out while the legislation was in session, with minimal disruption to the occupants. In 2015-16, our services were requested to address the sagging and detaching corridor ceilings. The 16' x 120' corridors were a consistent run of flat plaster, uninterrupted by dimensional details. Canning Co. innovative professionals invented a system of raising and reattaching the ceilings causing minimal plaster loss or damage to the fragile distemper decoration. A minimal amount of plaster replacement - matching texture, and direction of graining - and distemper inpainting without moisture discoloration completed the job. The corridors on all three floor received this treatment for a total of 7,000 sq. ft.